It's 2/12, the day we Illinois schoolchildren used to get off. Today our favorite son would be 209 years old. 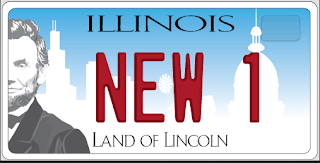 Here's hoping that, with the gubernatorial race and the all the #MeToo talk in our state capital, Springfield begins to deserve the enduring affection Mr. Lincoln had for the city.